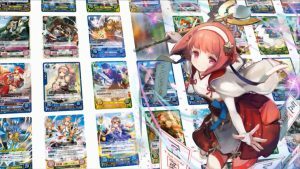 Fire Emblem Cipher Series 14 Release! 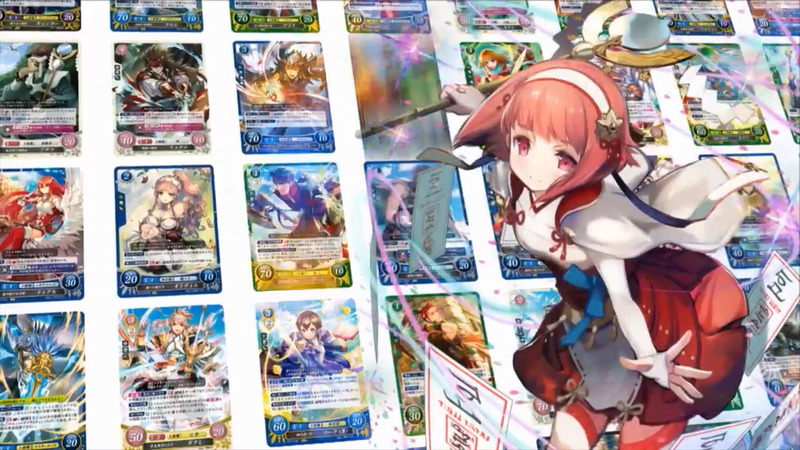 Today, 27 September, is the official release day for Fire Emblem Cipher Series 14! The set, titled Eyegazing Future, is now available in card shops in Japan and for import around the world. 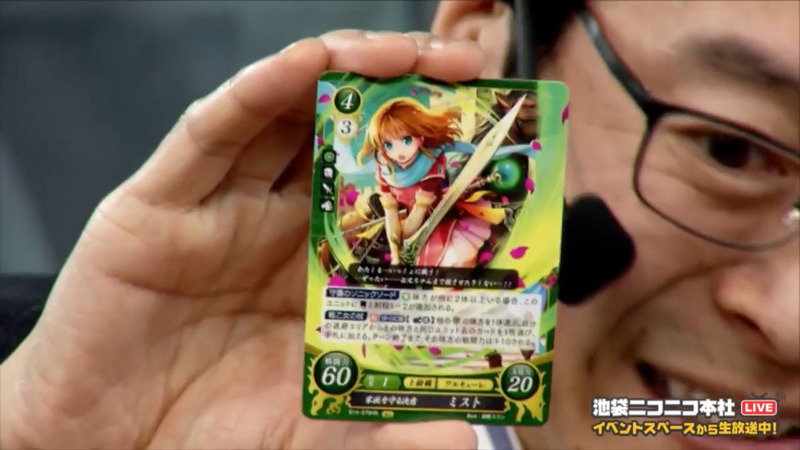 S14 features cards and characters from five different Fire Emblem titles. The first half of the set is made of Blue cards for Awakening and Tokyo Mirage Sessions #FE. The remaining cards are split between the Birthright path of Fates and Green cards for Path of Radiance and Radiant Dawn in Tellius. 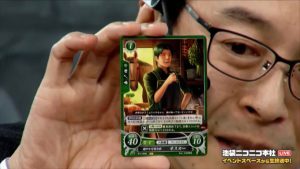 Cipher Series 14 Pre-release Livestream (With Series 15 Reveals)! During 22nd September 2018, Fire Emblem Cipher held a pre-release livestream on NicoNico and YouTube to hype up the impending release of Series 14 “Eyegazing Future”. If you missed the livestream and are interested in watching it, it’s now available for viewing via timeshift on NicoNico or directly on YouTube. For your convenience, you can find a recap of all the important news below! The main focus of this livestream was naturally on Series 14, which launches very soon on 28th September 2018 in Japan. As we learned earlier, this series features characters from the Tellius games, Awakening, Fates (Birthright) and Tokyo Mirage Sessions #FE. On the Tellius front, we got new unpromoted cards for Marcia and Oscar. In particular, Oscar looks pretty relaxed in his casual wear. Next, time for the healers to shine, with cards for Radiant Dawn Cleric Mist and both unpromoted and promoted versions of Rhys. 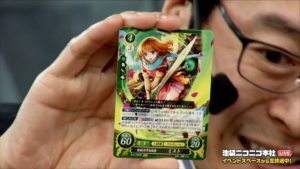 Cipher Autumn 2018 Livesteam: New S11 Cards, S12 Artwork, & S13 Announcement! 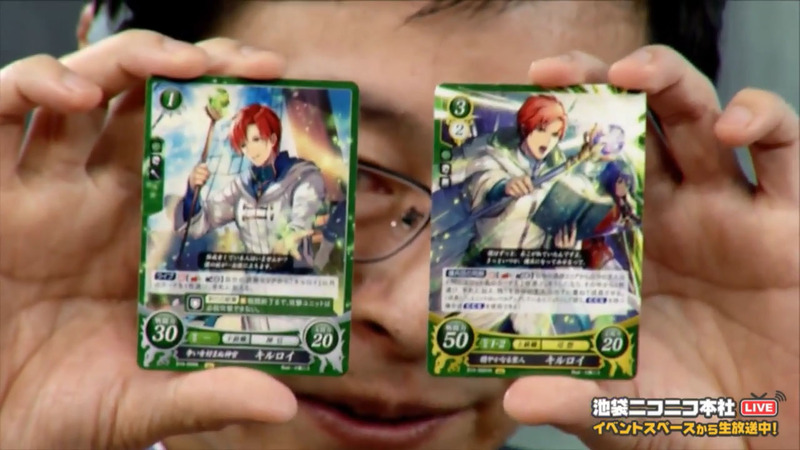 This past weekend, the Fire Emblem Cipher team hosted the Cipher Autumn 2018 Livesteam over NicoNico! 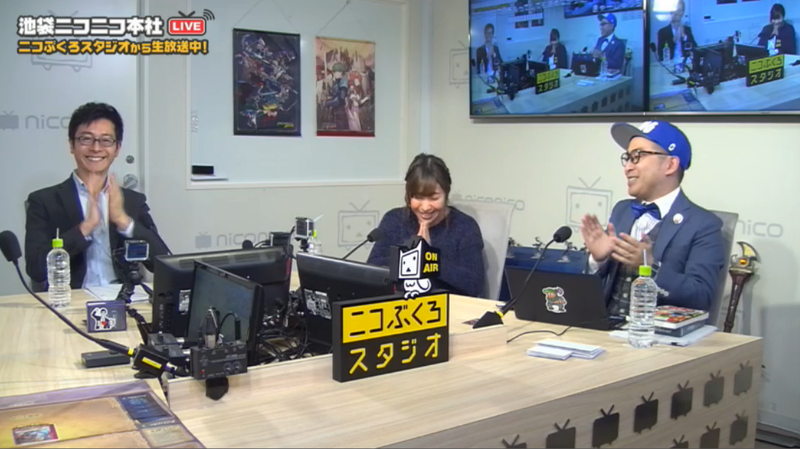 Ryota Kawade and Young hosted the stream as usual. Joining them was voice actress Juri Kimura, the voice of both Mozu and Nyx from Fire Emblem Fates and Yuzu from Fire Emblem Echoes. The main focus of the stream was to show off some additional cards for the latest upcoming series: S11, Glorious Twinstrike. 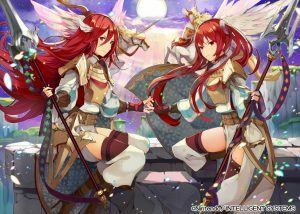 The set features cards from The Sacred Stones, Fire Emblem Echoes, and Fire Emblem Warriors, and releases on 7 December. 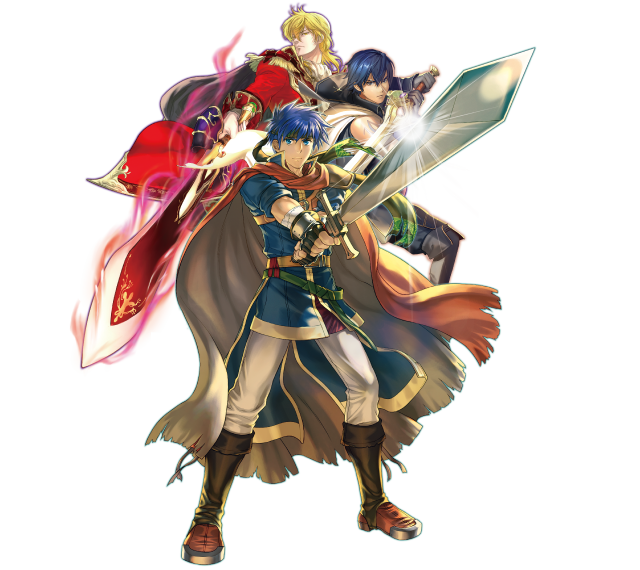 In addition to showing off cards, we also got to see some new Fire Emblem merchandise, as also news and images for upcoming Cipher releases and events. Read on below for a full look at everything new from the stream!